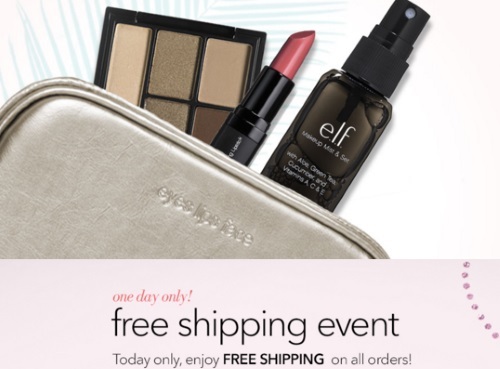 ELF Cosmetics is offering Free Shipping on any order plus get a Free Gift on orders $25+. Enter the promo code FREE (for Free Shipping) and FRESH for the Free gift. The Free gift is ELF's 4 Star Faves Kit (which is pictured above) it has a retail value of $20 and will be free with your order. You can use both promo codes at checkout! Please note, ELF is a US company and so their promotions are targeted to American customers, however Canadians can get the Free Shipping ($4.95) deducted off their final shipping cost. This offer is available today only, Thursday, March 3, 2016. Click here to browse ELF Cosmetics.